We give gifts at Christmas because thousands of years ago, God gave us the greatest gift in Jesus! That is why each year I try to help you put some gifts under your tree that will help the people you love grow closer to (or discover) God. Starbucks ($5-$10) Before I go into the “real” gifts. There are a lot of people in your world who would grow closer to God if someone in their world (cough) would just take them to coffee, listen, and pray for them. Why not start with relationship this season? Don’t get me wrong, everything else here is good too, but people need the presence of the Body of Christ (that’s us!) more than they need anything else on this list. Interior Castle by St Teresa of Avila ($4-$20) This is not some sort of Christian fiction. Rather this is one of the core texts of Christian mysticism. Saint Teresa instructs readers through a structure of prayer that seeks a mystical union with God. For those who love prayer or for those who have longed for the mystical side of the faith, this is a great book! Veggie Tales on Amazon Prime (Free Trial then $99) - As I was adding a tried and true favorite of my kids (Esther, the Girl who Became Queen) I realized that I have unlimited access to every Veggie Tale through my Amazon Prime subscription! And the app allows me to DOWNLOAD the videos before a trip so I don’t have to use a cell connection! If you don’t already have it, check it out or give it to your grandkids for the huge selection of great Spiritual Children’s videos! Jesus Storybook Bible ($9.98) If you have any child in your family between three and eight, they need this one! It has, hands down, the most beautiful illustrations of any children’s Bible, and each story is long enough to not be childish and short enough to not be distracting. Just right. It’s why we mail these to kids in our church! 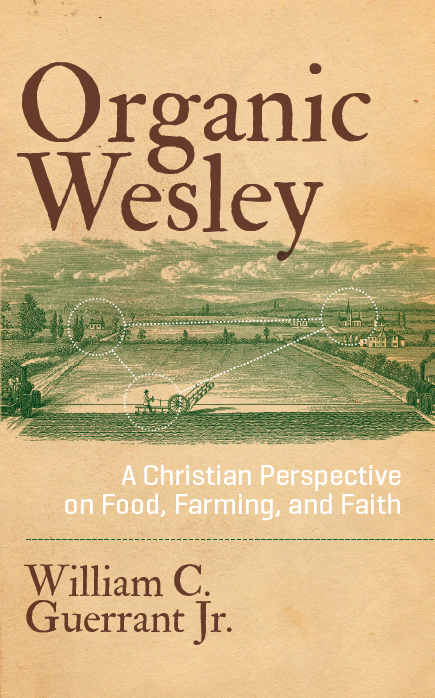 Organic Wesley by William Guerrant Jr. ($11-$19) What we believe has a lot to do with the choices we make when we eat and purchase our food. For those who are considering the moral, ethical, and theological implications of their interactions with their food, this is a must-read. As it turns out John Wesley has a lot to offer the modern thinking on this ancient issue. Simply Brilliant. Also available from Seedbed directly. Dateable: Are You? Are they? ($12.20) If you could lock teens away for several years it might be easier… might, but that is against the law. The reality is, in our culture, Teens are going to date. That’s how our culture (good or bad) helps people select mates. This book exists in the real world where Christian teens date, and gives them real-world tools and advice to help them come out of those relationships healthy and with their morality and faith in-tact. Also, every teen I have given it to (well over a hundred now) loved it… and read it. Buy 2. The Good Shepherd: A Thousand-Year Journey from Psalm 23 to the New Testament by Kenneth Bailey ($17.23) Kenneth Bailey is one of the leading scholars who specializes in cultural background to the Bible. In each of nine passages, Kenneth Bailey unearths the power of the good shepherd metaphor through middle eastern culture and shepherding customs. This is not light reading, but it is powerful. Glo Bible (Reg. $89 on sale for $35!) This Bible software is some of the best for almost everyone. Unless you are a greek scholar or looking for the highest level critical commentary, this will help the Bible come to life! 140+ Maps 450+ virtual tours, 3.5 hours of HD video, 650+ works of art. And, it’s on crazy sale at Amazon! Mac or PC. NIV Study Bible ($49.98+) I get asked two questions more than any other about product recommendations, and this is the answer to the number 1. What Study Bible should I buy? This one. It has serious scholarship, no super crazy slant one way or the other, and it is attached to a rock-solid translation. The second question is what Bible I like to read. For that, I like a single column without notes that looks like any other book. This is a good one of those. Revival: Faith as Wesley Lived it DVD by Adam Hamilton ($37.51) Ever wanted to explore the history of Wesley in England? This will allow you to do it from your couch. Adam Hamilton takes you to six of the most important places. This is the DVD of the larger study. 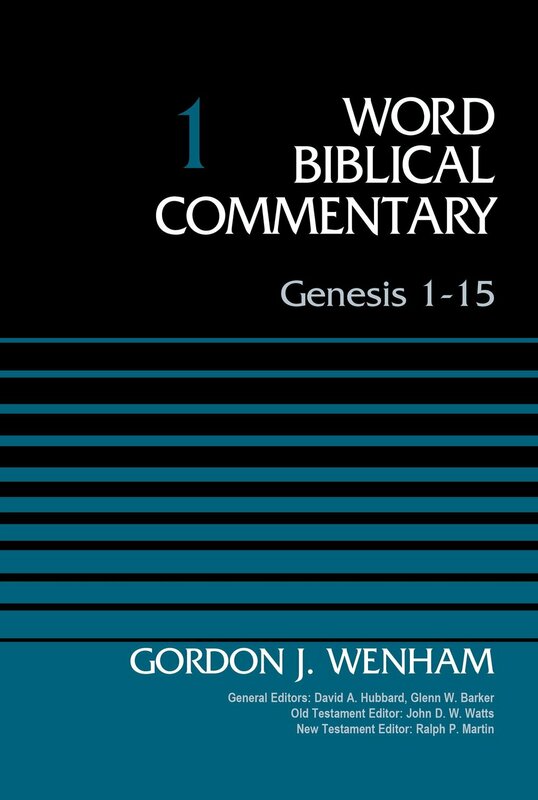 Genesis Word Biblical Commentary Volumes 1 & 2 (74.31) At just under 1,000 pages of commentary on Genesis (968 to be precise), this is by far my favorite place to start a study of Genesis (though Bruggemann is brilliant as well). This will take you as far into the deep end of scholarship as you want to go. The reason I love this series as a starting point is because it gives you a sense of the conversation between different schools of thought and offers a wealth of references to read more. The Contemplative Journey Volumes 1 & 2 ($132.76) Contemplative prayer is one of the most ancient prayer practices in Christianity and is taught here by one of the spiritual greats of our time: Thomas Keating. Over these 20 Hours he teaches step-by-step through his technique for practicing this profound method for connecting with God. This is not a novice course, but is something you may end up listening to back to back. Interpretation Commentary Set ($701 total for Old Testament and New Testament) Now, I am obviously being a bit ridiculous here. However, if you teach the Bible and have some significant change to spend, this will give you the most bang for the buck. I have a handful of these myself because this commentary series is built with the preacher/teacher in mind while not holding back on the scholarship. If you are wanting to get some great resources or give an overwhelmingly generous gift to a pastor or church library, this is great. The Class meeting by Kevin Watson: Take your small group to a whole other level as you explore one of the best models for living life together. Wesley and the People Called Methodist by Richard P. Heitzenrater: If you read one history of the Wesleyan movement, this should be it. In the Name of Jesus by Henri Nouwen: This is the only book on leadership I have ever enjoyed or recommended someone else read. Brilliant. Powerful. Basically Everything Henri Nouwen: Really, scrap everything I said above and only ready his stuff.